"Keep checking 80scasualsltd on instagram or 80scasuals on Facebook". 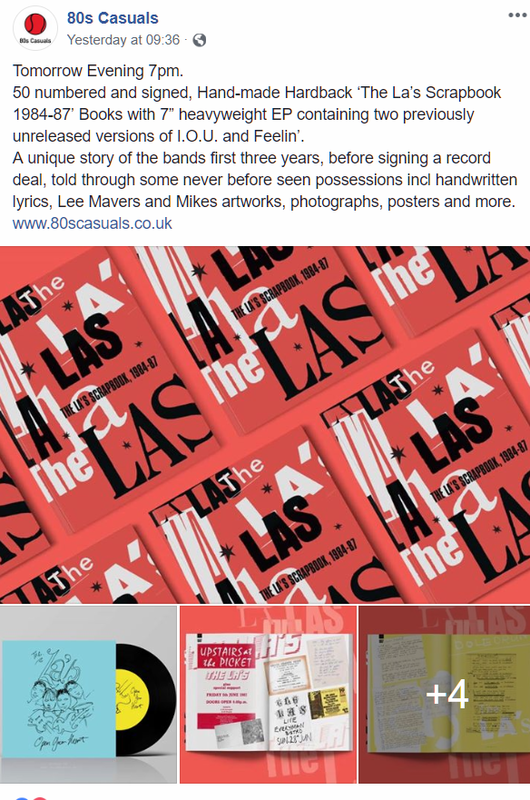 Tonight (30th Sept -Tony) see’s the pre-order launch of a new book by one of Liverpool’s greatest ever bands, The La’s. Entitled The La’s Scrapbook 1984-87. 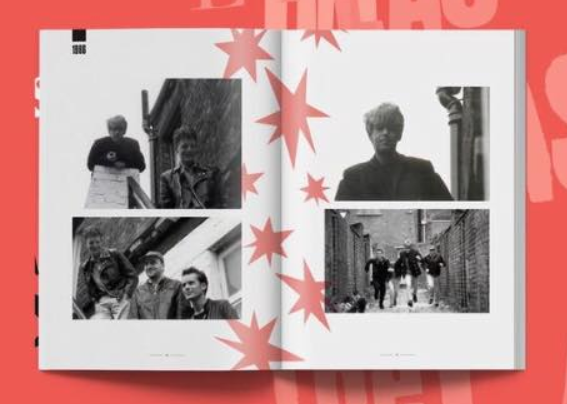 Available via 80’s Casual and the Viper label the book tells the early years story of the band with upmost detail to attention and previously unseen pics. Matt Mead investigates for Louder Than War. On 14th September 2017 an Exhibition of rare and unseen photos of The La’s first tour opened at The Florrie, Liverpool. A period described as a magical time and a crucial part of The La’s story. Amongst the photographs are a selection of ephemera including gig posters, tickets and handwritten lyrics being displayed for the first time. Dave Hewitson of 80s Casuals takes up the story ‘It’s these artefacts that caught my eye, having a loft full of similar music and football related items. I mentioned to ex band members Paul Hemmings and Mike Badger over the coming days about how such periods of our youth need to be documented, particularly in a book if possible, and especially about a band of such legendary and cult status as The La’s. Tonight’s pre-order is for 50 hardback books which will go on sale from 7pm. The price for the presale books is £50 which includes: Hand finished Hardback Cover, signed by the books curators, Mike Badger, Paul Hemmings and Dave Hewitson. 7″ Heavyweight Vinyl. Side A. ‘Open Your Heart Side’ B. features never before released versions of ‘I.O.U’ and ‘Feelin’’. A softback version will be available at a special book launch at the end of November. More details to follow. Is the vinyl going to be available? Weird that the Viper site hasn't changed, it was meant to launch there too. I'd say the vinyl is their responsibility. Anyway, latest update says these will be shipped out before the softback launch end of November; there's about 10 copies left. vinyl will be sold with the softback and possibly on its own. Only 250 vinyls being produced. Excellent. We need more La's vinyl. 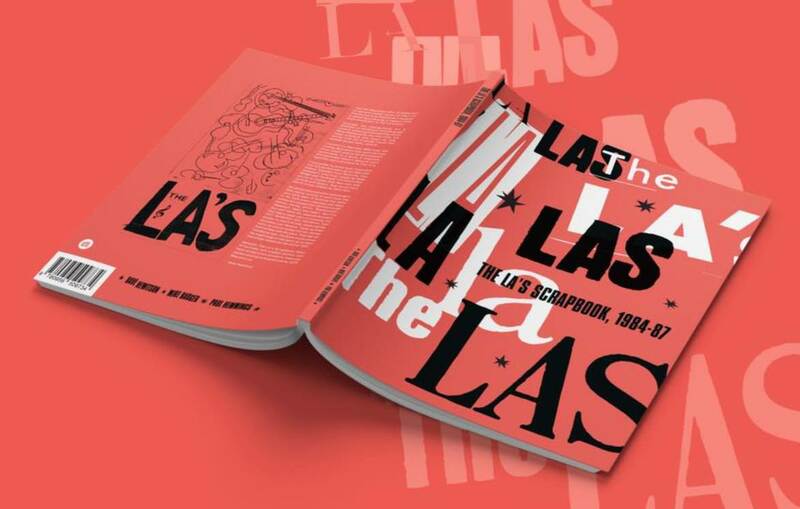 The La’s Scrapbook- 1984/87’ Handmade hardback Book with 7” Vinyl now SOLD OUT. Thanks for all Pre-Orders. We’ll post once we receive them in early November. Details of the Limited Edition of the softback book coming soon.